Due to delivery costs, it is more cost effective to buy in blocks of 30.
ecobale cardboard animal bedding is an eco-friendly alternative to traditional animal bedding. It provides a healthier, cleaner environment for animals, poultry and game and also makes an environmentally friendly packaging substitute for polystyrene chips. 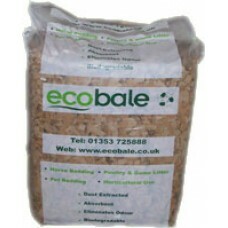 ecobale cardboard animal bedding offers several benefits to animals, their owners and the environment. It is clean, comfortable, highly absorbent, cost-effective and biodegradable and provides a virtually dust, seed and spore-free environment, ideal for horses with COPD and animals with allergies or respiratory problems. ecobale is produced using specialist shredding machinery that extracts dust before bagging, making this environmentally friendly animal bedding virtually dust-free. Corrugated cardboard means highly efficient absorption and insulation. Liquids drain quickly and are absorbed by the bottom layer leaving the top dry, giving maximum comfort for your animals. 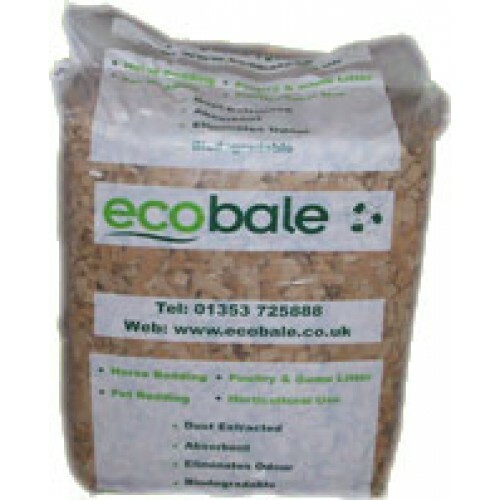 ecobale is packed in bales of approximately 20kg and supplied in reusable plastic packaging. ecobale animal bedding is available for delivery all year round throughout the United Kingdom and can also be collected from our depot in Ely, Cambridge.